A leader in the geotechnical engineering industry, KANE GeoTech, Inc. specializes in difficult civil and geotechnical engineering problems. Dr. William F. Kane founded the company in 1997 after 20 years of experience in geotechnical research and consulting. 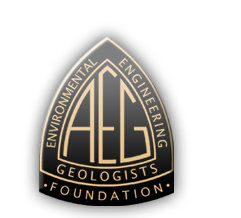 KANE GeoTech, Inc. is an American leader in rockfall and debris flow hazard identification, analysis, and mitigation. We have extensive experience in engineering most major manufactured protection systems including Geobrugg, Maccaferri, and Isofer/ROTEC, and we serve as the primary designer for engineered Geobrugg Protection Systems in the United States. We have engineered systems in California, Hawaii, Colorado, Idaho, and Nevada. Dr. Kane is a recognized expert in rockfall and debris flow protection and is often retained as an expert witness in litigation. Since 2005, Dr. Kane has taught short courses in the United States and Mexico for Geobrugg North America, LLC on slope stabilization, rockfall, and debris flow. KANE GeoTech, Inc. and Dr. Kane have been designing, building, installing, and monitoring geotechnical instrumentation systems since 1994. These include complete Automated Data Acquisition Systems for slopes capable of recording ground water levels, rates and directions of ground movement, locations of failure surfaces, rainfall quantities, and soil moisture. We offer a complete range of services that cover the full lifecycle of an instrumentation project, from initial requirements analysis and design through implementation and monitoring. KANE GeoTech, Inc. has the capability to deliver projects from inception through construction oversight and quality assurance. Our broad background in general geotechnical engineering, along with our extensive experience in instrumentation and state-of-the-art analyses and design tools, enable us to develop solutions and provide innovative designs to our clients. While no two projects are the same, a typical project may begin with a literature review and a geotechnical investigation that may include joint mapping, soil or rock borings, trenches, and geophysical methods, as well as laboratory testing. At this time instrumentation, such as TDR, inclinometers, or piezometers might be installed to augment field data and aid in construction and post-construction monitoring. Depending on the situation, automated remote data collection and monitoring systems may be used.